Blend all ingredients, except chia seeds, in high speed blender. Once smooth, add chia and blend on low speed until mixed. Enjoy! 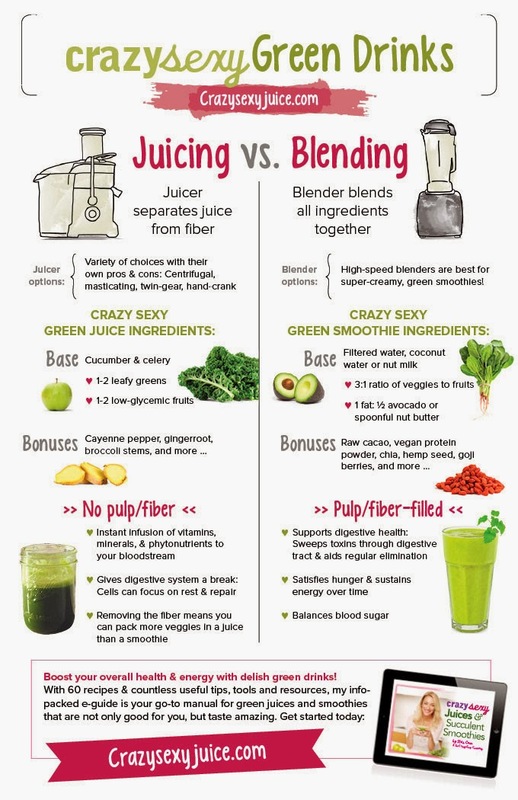 Smoothies retain all of the fiber of the veggies and fruit, rather than removing it, as juicing does. Fiber is crucial for ongoing cleansing by removing toxins on a regular basis, helping to keep your digestive tract and body clean. One green smoothie a day, keeps the doctor away! Voisin tehda jonkin oppaan kylla kunhan kiireet helpottavat. Hyva idea! Tyolas, mutta mielenkiintoinen varmasti monille! :) Hauskaa viikonalkua!